One of the things that has always struck me as odd is for families to go away on holiday and have the children in kids’ clubs or whatever throughout the day. For me the joy of going on holiday has always been being able to enjoy quality time with the whole family. So going to a “home from home” type of cottage that has all the amenities but a different location, environment and atmosphere seems ideal. And it’s important to make sure you know what you are going to and what you may need to take with you. Holidaying with preschoolers is a very different experience to taking school-age children away and teens are a different category altogether. Add to this you may be in a blended family and then have children in various age groups or you may be taking grandparents or childless aunts and uncles along too. The secret of successful quality time is to try to make sure everyone gets to do something they really enjoy. This may mean that the family or group splits up to do different things during the day and then you can all meet up over dinner to share your experiences. A bit of research about the area you’ll be staying in, should give give you the opportunity to discuss with older children and family members what they’d most like to do. This doesn’t mean you need a regimented day by day plan – after all if the sun is shining you might all just want to explore the beach, swimming pool or outdoor areas and if it rains you may need back-up plans. 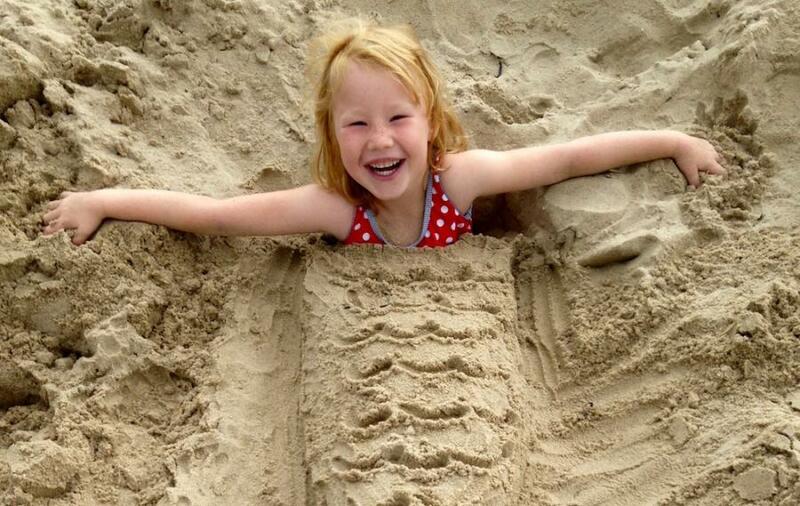 Personally I love exploring beaches and I’m very happy making sandcastles and sand sculptures with Harriet. However, I do like to have time to read as well so on previous holidays with two adults we’ve both been able to have some time off on our own while the other looked after the children. As the kids approach adulthood it can be a joy to share a spa day or a sporting event on a one-to-one basis. In fact, it’s a great idea for each child to have some quality one-to-one time with an adult to explore their favourite activities. An opportunity too for adults to try something they’d never have dreamed of doing. Plus some of the best conversations with children can be had while you are doing something you both enjoy. However well equipped your cottage, there’s always something your family – or one of its members – can’t live without and you need to take with you. And as always in the UK we have to prepare for all weathers. So plan ahead based on whether you’re heading to a seaside cottage or a rural retreat. For me the best holidays are shared experiences that we can talk and laugh about when we get home!